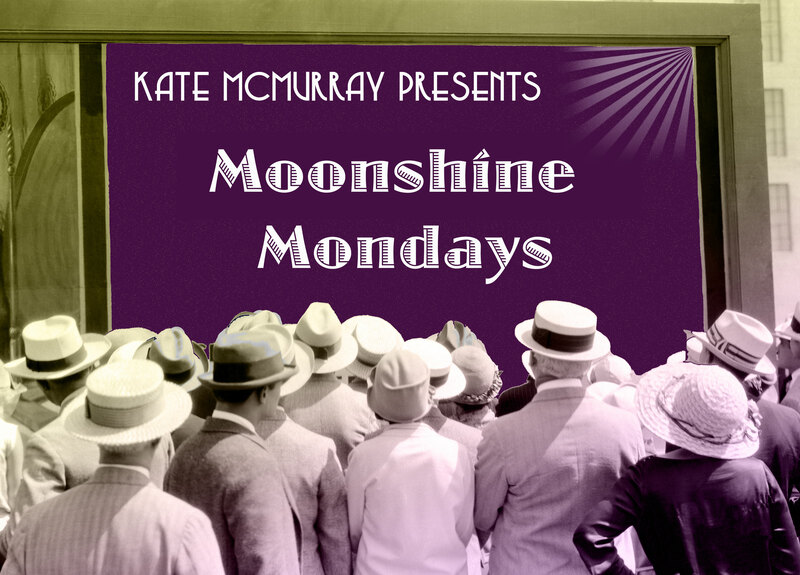 Welcome to Moonshine Mondays! In the lead up to the release of my Jazz Age-set romance Such a Dance on October 27, I’m rolling out some history, photos, background info and other special features relating to the book. Although Such a Dance is populated by a number of fictional locations—Lane’s club, the Marigold; the James Theater where the Eddie dances—I used a number of real locations, too. 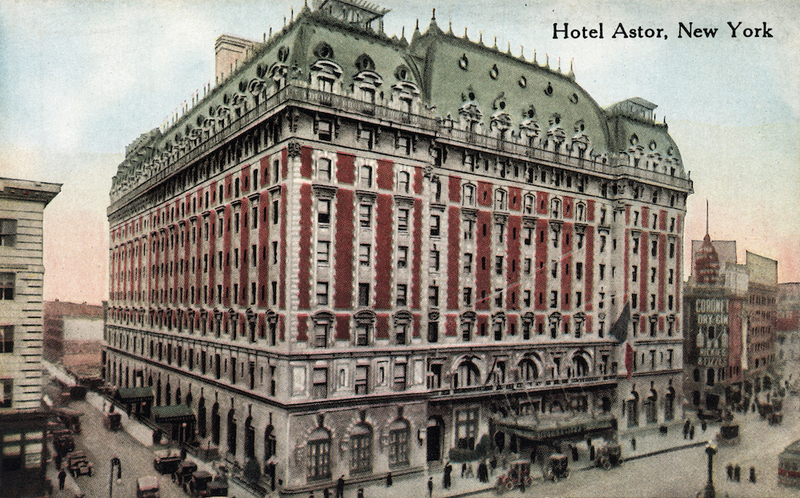 One of the most notable is the Hotel Astor, which was once a luxury hotel in Times Square, on the block of Broadway between 44th and 45th Streets. Anyway, with this history in mind, I set a pivotal scene in the book at the Astor. For more, here are some exterior photos. And here are more photos, mostly interiors. The hotel was torn down in the late 60s and today, the block is dominated by a monolithic office tower that is home to MTV studios and the Minskoff Theater (currently home of The Lion King). (Wikipedia.) Next time you’re in NYC and walking through Times Square, imagine a previous era when this block was dominated by one of the most luxurious hotels in the city, and think about who might have been meeting each other at the hotel bar. Welcome to Moonshine Mondays! In the lead up to the release of my Jazz Age-set romance Such a Dance on October 27, I’m going to start rolling out some history, photos, background info and other special features relating to the book. 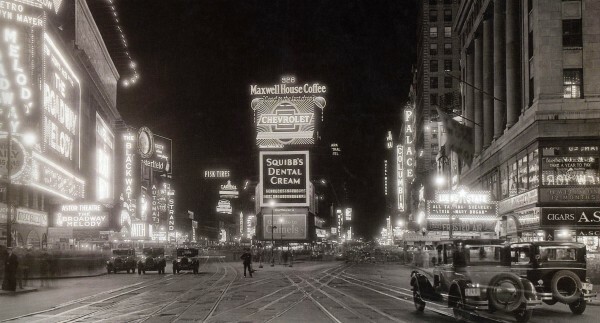 New York has changed quite a bit in the 90 years that have passed since the book takes place. Such a Dance takes place almost entirely within a few blocks of Times Square. We’ll get into some of the specific locations from the book in the coming weeks, but first, I thought I’d set the scene by sharing some photos showing how NYC used to be. 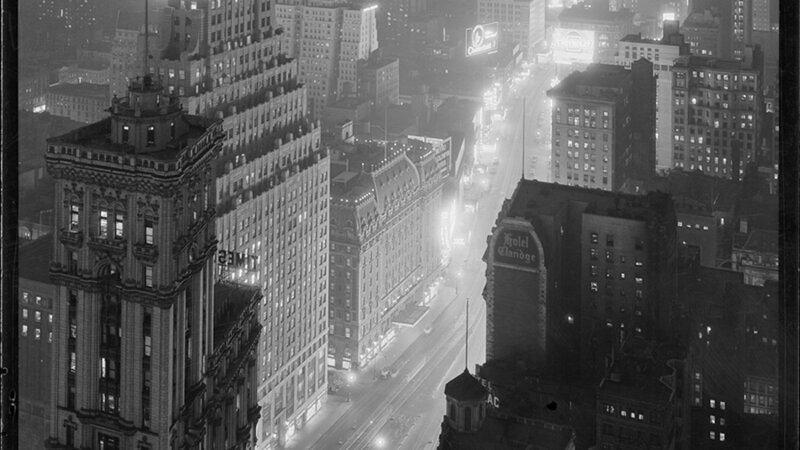 Consider this: in 1927, there was no Empire State Building. There was no Rockefeller Center, no Chrysler Building, no Lincoln Center. There were still elevated trains running down major arteries in Manhattan and whole subway lines that hadn’t been built yet. It’s Prohibition, but though it was illegal to sell “intoxicating beverages,” liquor flowed freely in speakeasies all over the city. It was a seminal year for Broadway as well, with more shows opening that year than any year before or since. Vaudeville was on its way out and Broadway as we know it today, with shows like Showboat opening that year, was taking shape. I also have a Pinterest board showing NYC in the 1920s. Tune in next Monday for more!